347 Beacon is located on the SE corner of Beacon and Fairfield, with 345 Beacon to the east, 351 Beacon to the west, across Fairfield, 330 Beacon to the north, across Beacon, and 8 Fairfield to the south, across Alley 417. 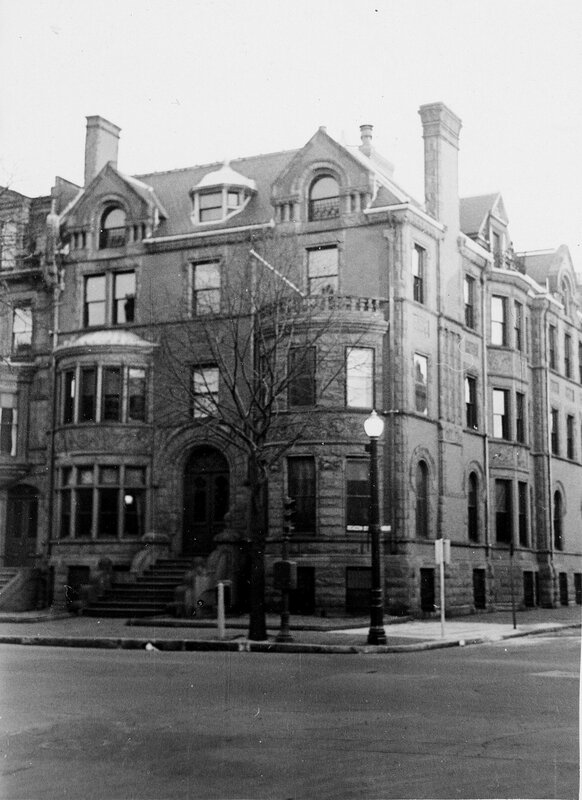 347 Beacon was designed by architect John H. Besarick and built in 1884 by J. H. Kelley, mason, and Samuel Chesley, as the home of James Wheaton Converse and his wife, Emeline (Coolidge) Converse. They previously had lived at 43 West Newton. James Converse is shown as the owner on the original building permit application, dated August 4, 1884. They also maintained a home in Swampscott. James Converse had purchased the land on which 347 Beacon was built on March 18, 1884, from Dr. John Homer Dix. The land was part of a larger parcel originally purchased from the Boston Water Power Company on February 16, 1863, by Daniel Davies, Jarvis Dwight Braman, and Grenville Temple Winthrop Braman. Grenville Braman was treasurer of the Boston Water Power Company, Jarvis Braman was his brother (and later president of the company), and Daniel Davies, a housewright and master carpenter, was Grenville Braman’s father-in-law. Click here for an index to the deeds for 347 Beacon. Dr. John Homer Dix was a pioneer ophthalmologist, the first American physician to perform an operation on the eye using ether anesthesia. 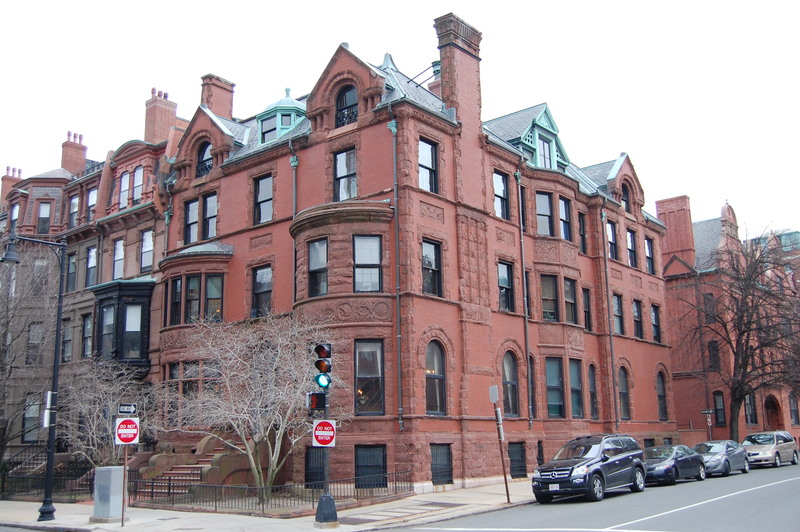 He also was a real estate developer and in 1857-1858, he built the Hotel Pelham at the southwest corner of Boylston and Tremont Streets, the first apartment house (called “French flats”) in Boston. He and his wife, Helen Pelham (Curtis) Dix, lived at the Hotel Pelham and he also maintained his medical practice there. 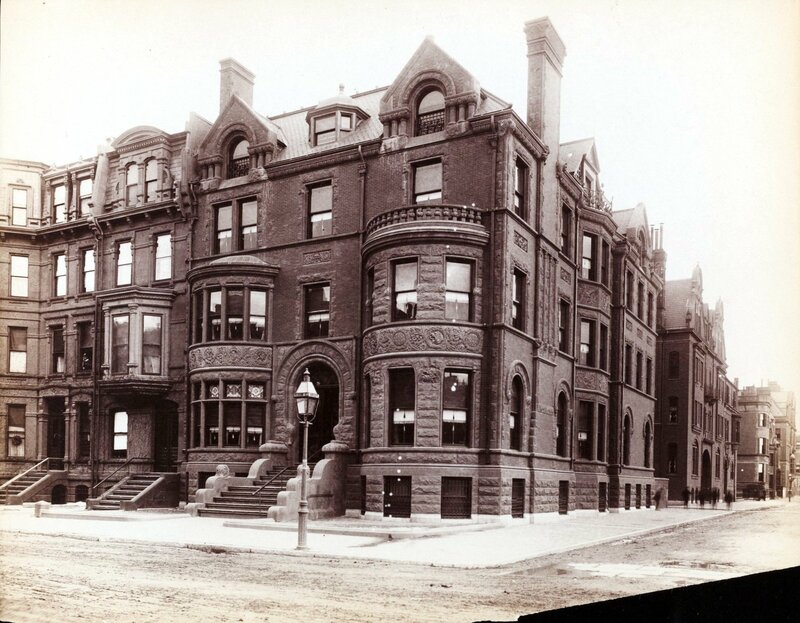 In October of 1880, he sold the Hotel Pelham to wholesale dry goods merchant James Lovell Little. 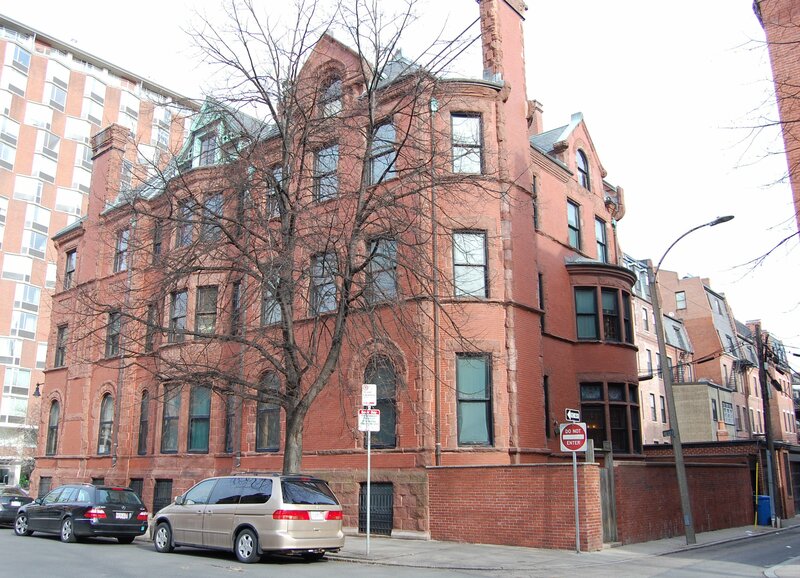 Dr. Dix may have planned to build a home at 347 Beacon, inasmuch as, on December 29, 1880, a month after buying the lot, he applied for a permit to build a private stable there. He subsequently abandoned the permit and he and his wife continued to live at the Hotel Pelham; he died in August of 1884. James Converse was a shoe, boot, and leather merchant. He served as president of the Boston Rubber Shoe Company, of which his brother, Elisha Slade Converse, was the treasurer and chief buying and selling agent. James Converse also was president of the Mechanics National Bank for fifty years, and of the Boston Land Company. James and Emeline Converse were joined at 347 Beacon by their son-in-law and daughter, Isaac William Chick and Emma Maria (Converse) Chick, who previously had lived with them at 43 West Newton. Isaac Chick was president of John H. Pray & Company, dealers in carpets, rugs, wallpaper, and furniture. Emeline Converse died in October of 1891 and James Converse died in August of 1894. After their deaths, 347 Beacon became the Chicks’ home. Emma M. Chick is shown as the owner on the 1898 and 1908 Bromley maps. Emma Chick died in July of 1907. Isaac Chick continued to live at 347 Beacon with their two surviving children, Mabel Chick and William Converse Chick. Isaac Chick remarried in about 1912 to Jennie Elizabeth (Hall) Billard, the widow of Herman Merriman Billard. 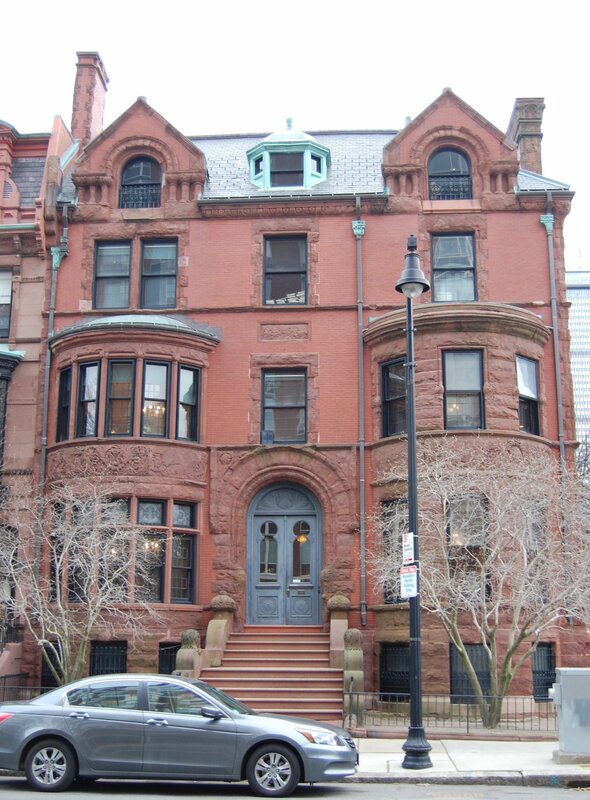 After their marriage, they lived at 347 Beacon and also maintained a home in Swampscott. Elizabeth Billard’s daughter, Mary Elizabeth Billard, lived with them. Mabel Chick married in January of 1914 to James Owen Foss, an accountant. After their marriage, they lived at 226 Bay State Road. William Chick, an investment banker and later successor to his father as president of John H. Pray & Co., married in April of 1914 to Ruth Agnes French. 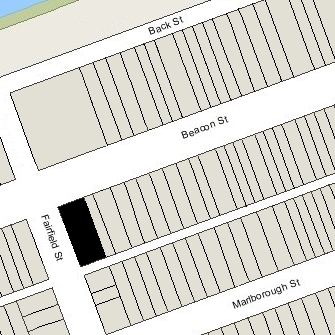 After their marriage, they moved to Brookline; by 1917 they were living at 317 Commonwealth. Mary Billard married in April of 1921 to Ambrose Ely Chambers; after their marriage, they lived in Cambridge. Isaac Chick died in March of 1929. Jennie Chick continued to live at 347 Beacon for part of the year through about 1935, but spent her winters at the Maryland Apartments at 512 Beacon, and her summers in Swampscott. The house was not listed in the 1936-1937 Blue Book, and was shown as vacant in the 1935-1939 City Directories. In 1938, it was proposed that a private club with a liquor license be located at 347 Beacon. No formal application was filed but the proposal was withdrawn in November of 1938 after strong opposition from the neighbors. On December 22, 1939, 347 Beacon was acquired from William Chick and Mabel (Chick) Foss by Human Engineering Laboratory, Inc., founded that year by Johnson O’Connor and his wife, architect Eleanor (Manning) O’Connor, who lived at 381 Beacon. The Human Engineering Laboratory were pioneers in aptitude testing and motivational research. It continued to own and occupy 347 Beacon in 2015.